Chrysin, Nettle Root & Estrogen! DIM, Chrysin, Nettle Root & Estrogen! I'm writing to you again to say thanks. I have some more question about estrogen supplements. 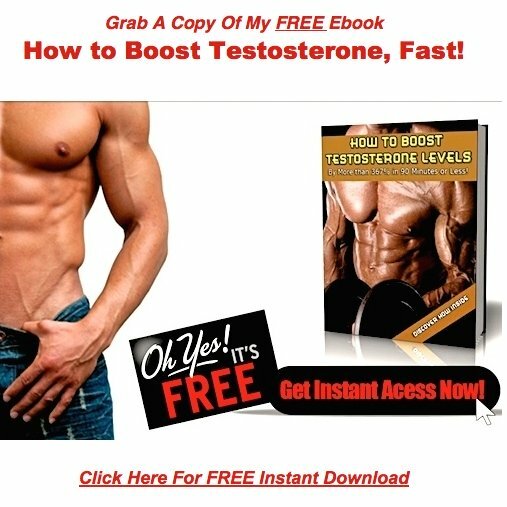 I have been taking testosterone boosters and estrogen supplements all year. Eating good and exercising 4-6 days a week. I know my testosterone is on the rise because muscle mass is better. But I think my estrogen needs help. I bought Dim, Chrysin, Avena Sativa and Stinging Nettle Root. I have been taking these 1 pill at a time, no more than once a week per pill. First question, are all of these good to lower estrogen and how much should I take of each (MAX) and how often? Also I bought Axis-HT and wanted to know how I should cycle this? I was thinking take for 1 week and off for 3 weeks or should I take as directed to give it time to work? Some info, I'm 44 years old and about 235 lbs. My test results in Dec 09 was testosterone under 280 estrogen over 50. I'm so grateful for your website you have helped me so much to turn my health around. I still need to lose more fat and I'm confident I will. Sounds like you're making some nice headway, so good for you. Your history tells me that bodyfat reduction still needs to be your main priority. At 235, you're definitely carrying some excess weight which explains your why your estrogen levels are so high. There are exceptions to this rule, but generally speaking body fat and estrogen go hand in hand in men. In other words, if you see a guy carrying 20 or more pounds of excess body fat, you can almost bank on the fact that he's swimming in estrogen. This explains why an estrogen supplement a few times a week isn't going to do you a whole lot of good. In essence, you've got a major hemorrhage going on, and you're trying to stop the bleeding with a band-aid. Cycle the DIM, Chrysin, and Nettle Root daily, rotating between the 3 every day of the week. Start with the recommended dosage, and work your way up from there, depending on how you feel. Make fat reduction a very high priority in your life. From the sound of your message it looks like you're working on this, but you need to start living and breathing it. Because once you get down to your ideal body weight, your whole world will change. The testosterone eating enzyme aromatase, that resides in your body fat will diminish right along with the excess weight. Once this transformation occurs, you'll find that your supplements will really start to deliver the goods. 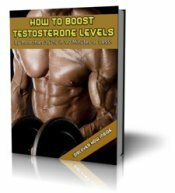 This happens because the fat reduction will automatically create an equilibrium between your testosterone levels and your estrogen. Take it too often, and you'll build up a tolerance in a matter of days, and it will stop working entirely. Cycle it, just like you do all your other Herbal Testosterone supplements to avoid tolerance issues. Do this, and it will deliver a powerful hormonal punch every time you take it. Comments for Chrysin, Nettle Root & Estrogen! I am also about 100 lbs overweight and have prioritised losing the weight first. I have implemented several hacks which are working well and my next intended step was to start the estrogen blockers as described in your reply above. However, I was unsure whether it would be worth it with all the excess weight I am carrying but now I am confident that it will be a worthwhile investment.